"A perfect way to use up left over turkey. 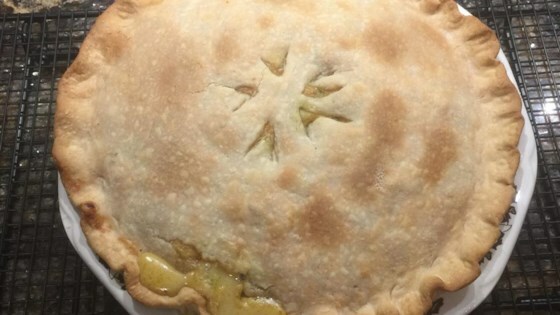 This pie tastes yummy, and will feed up to eight hungry people." This recipe was GREAT! We made it without a pie crust and just put a layer of puff pastry on top and cooked for 25 mins at 400. An easy way to use up leftovers. Stunning. It's great with sauteed mushrooms added too, or leftover chicken instead of turkey. And if you're feeling lazy, it doesn't much matter if you leave out the lower crust.